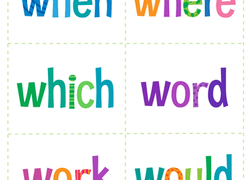 Help your 1st grader gain confidence as a reader with sight word flash cards that you can cut out and tape around the house. Includes words from very to were. 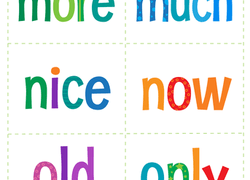 Help your 1st grader gain confidence as a reader with sight word flash cards that you can cut out and tape around the house. Includes words from right to their. 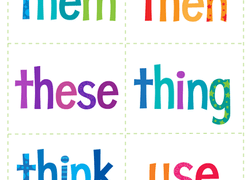 Help your 1st grader gain confidence as a reader with sight word flash cards that you can cut out and tape around the house. Includes words from them to use. 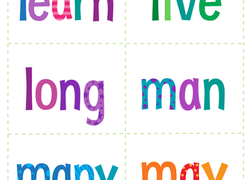 Help your 1st grader gain confidence as a reader with sight word flash cards that you can cut out and tape around the house. Includes words from when to would. 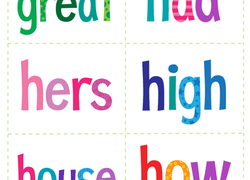 Help your 1st grader gain confidence as a reader with sight word flash cards that you can cut out and tape around the house. Includes words from learn to may. Help your 1st grader gain confidence as a reader with sight word flash cards that you can cut out and tape around the house. Includes words from more to only. 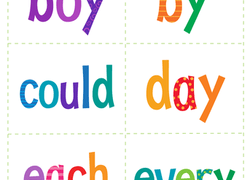 Help your 1st grader gain confidence as a reader with sight word flash cards that you can cut out and tape around the house. Includes words from great to how. 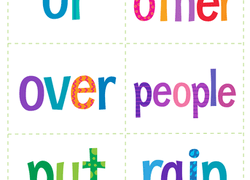 Learn some common words with this picnic themed reading sheet.